This post is part of a larger series on introducing each prompt of depth and complexity. I like to start by introducing Big Idea and Details to students. I introduce them together because they have a natural interplay. The Big Idea focuses on a large statement about the topic, while Details zooms in on the most important pieces of the topic. When asking students to think about the Big Idea of a topic, we’re looking for a statement that sums up the content. If we ask students to sum up a bike or a hamburger in one sentence, what would they say? It can be surprisingly difficult. After all, what exactly is a bike or a hamburger? Big Idea might also prompt students to think about the purpose of a topic. What’s the Big Idea of a school or a family? A Big Idea might be a motto or a saying. Students’ answers will vary depending on their own sophistication. One student might see the Big Idea of the Constitution as “the rules of the United States,” but another might say that it’s “a tool to protect citizens from their leaders.” Both can be correct if justified with evidence (and the evidence is represented by the Details prompts). When applied to a person, the Big Idea might sum up their life’s accomplishments, their personality, or their purpose. What’s the Big Idea of Martin Luther King? How about Luke Skywalker? Cleopatra? The Big Idea of Where the Red Fern Grows could be as simple as a summary of the plot, but it could also be the story’s theme or moral, or the author’s purpose. Big Ideas can go beyond one topic. 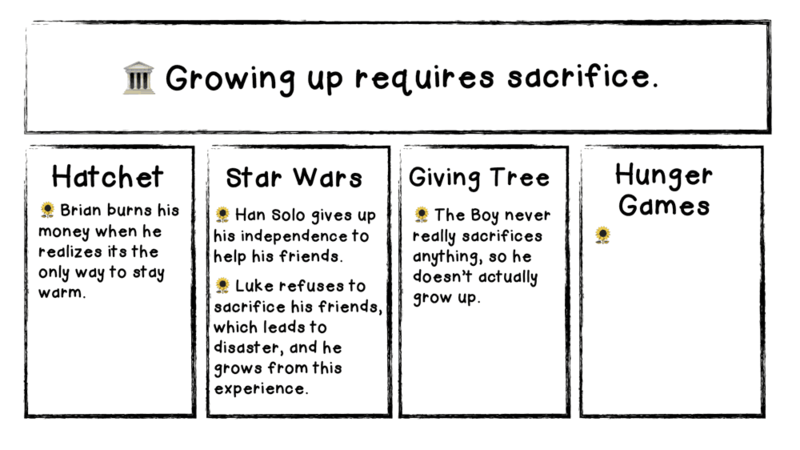 For example, the big idea “Growing up requires sacrifice” could be found in many stories, films, and in historical contexts. 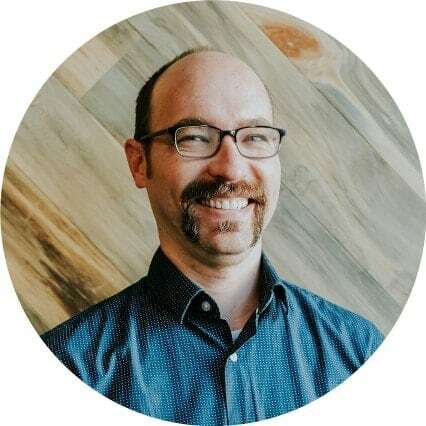 We can use the Big Idea to connect within and across disciplines. While students should generate their own Big Ideas, you might also offer your own for them to consider. Your Big Ideas should challenge their thinking, forcing new connections. And it’s always possible to disagree with someone’s Big Idea. Big Ideas should require evidence, which will come in the form of Details (“George Washington was a president who faced difficult decisions” is a solid big idea for young students). Do not allow advanced students to work with trivial or obvious Big Ideas. If the Big Idea is all about the main point, Details prompts students to look for the most important pieces of a topic. 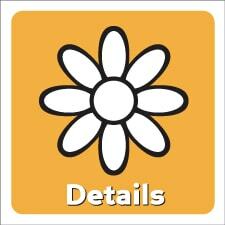 Details isn’t about every single detail, of course, only the most important. You could begin your introduction by discussing the difference between Essential and Inessential Details. For example, the time period George Washington lived in is important, but the day of the week he was born on is not. Essential Details provide a great way to prove that a Big Idea is true. If students think the Big Idea of Where The Red Fern Grows is that “losses help us to grow up”, they’d need to find enough evidence (or Essential Details) from the story to prove this true. If we say “George Washington was a president who faced difficult decisions,” obviously we need some Details to prove that Big Idea true. 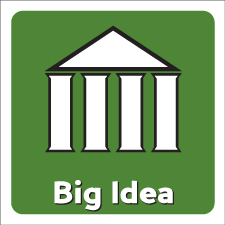 The Big Idea’s icon looks like a Greek Temple and can become a useful graphic organizer. It shows the relationship between Details and Big Ideas. The triangle roof holds the Big Idea, and the columns hold Details that support the Big Idea. This enhances the idea that a Big Idea requires a certain amount of evidence to hold it up. Only one column is going to make a pretty weak structure. Three, four, or five columns are a minimum to hold up that roof. For a slightly more advanced way of thinking, each column could represent a category of Details. 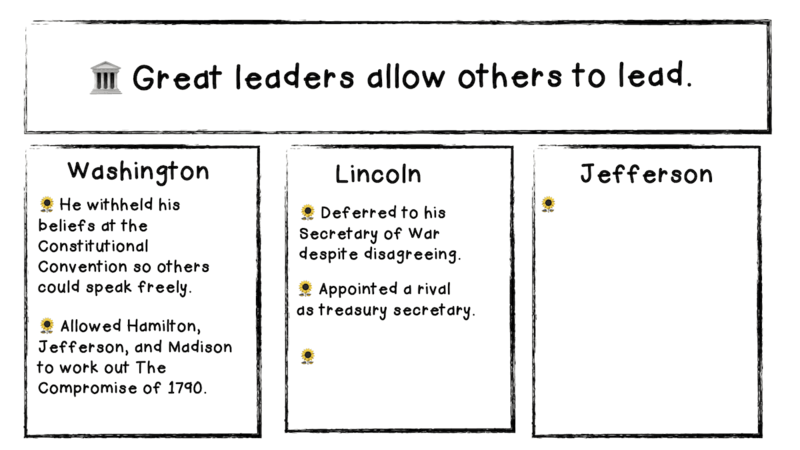 To show that a character’s Big Idea is “she’s a brave leader who overcomes her fears”, students could fill one column with “speech” details, one with “action” details, and one with “thought” details about the character. However, don’t let this graphic organizer be the final product. It should lead to a written response, a presentation, a skit, or some other complete work. Ask students to identify an interesting Big Idea and then support it with at least four essential Details. Offer students several possible Big Ideas about a topic and ask each child to choose one Big Idea to support with Details. Or, connect beyond one topic, asking students to create a Big Idea that applies to several stories, people, events, or other topics. In this case, each column of the organizer would hold evidence from a different topic. 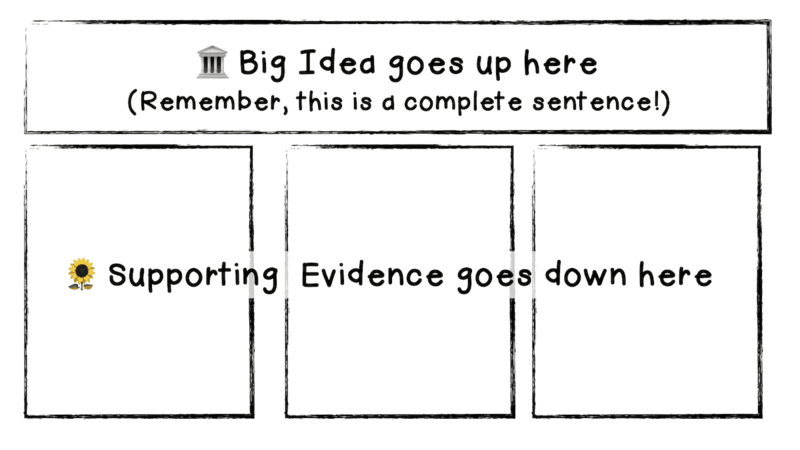 In each case, students can use the Big Idea Graphic Organizer to organize their thinking, although the organizer certainly doesn’t need to be the final product.